As you can see from my album listings, I have a lot of Pink Floyd albums. The reason? When you find something that you can't truly get enough of, like a drug, you tend to fill yourself with everything to get your fix. Such is the case with my obsession, yes obsession, with the band Pink Floyd. When I was younger my friends Aaron and Pete were both way into the classic rock band. Before too long, their influences had rubbed off on me. I was hooked. I think the very first album I bought was Wish You Were Here as it seemed like a pretty safe bet. It did not take long for me to be completely hooked on the Floyd. Within months (maybe even weeks) I had exploded my collection to have all the classic albums. The Wall, Animals, The Final Cut, Dark Side of the Moon, Atom Heart Mother, and many others were getting constant play on my CD player. I even received their newest release, The Division Bell, as a birthday gift. I truly could not get enough. As soon as I heard The Walls Comfortably Numb, I soon realized that I had found my favorite song of all time. No matter what mood, where I was, what time of day, I could always get immense pleasure out of that wonderful song. What sold me the most was the blistering guitar solo that goes on for minutes towards the end. If that isn't audio perfection, than I don't know what is. Unlike with so many other bands that I like from time to time, my love for Pink Floyd has never wavered. I can (and do) listen to them all the time. If I never know what I'm in the mood for, it is almost automatic. They are just so darn good people. If I have ANY regret in my fandom, it's the fact that I have never seen the entire band perform together. 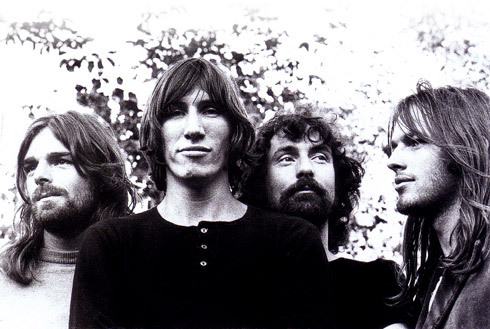 Due to egos and whatever else happens in bands all the time, Roger Waters left the band officially in 1985. This meant that I was doomed never to see the complete band that has been so influential to me. DANG! Although this continues to frustrate me, I have had the pleasure of seeing Roger Waters live while he played a ton of the Pink Floyd hits. As you can guess, it was magical. Hopefully I will soon get the chance to see David Gilmour as well. I could probably talk about "The Floyd" for ages. Just try me in person, there are few subjects I have such passion for. To end, I am going to add a few links for those of you that might be interested in reading more about the best band that I have ever known. What do you think? Does this band deserve all the hype I'm giving it? One of the oldest music websites that I have been a regular visitor at. Great info here. Get some Pink Floyd tunes today! See what all the remaining members have been up to lately.